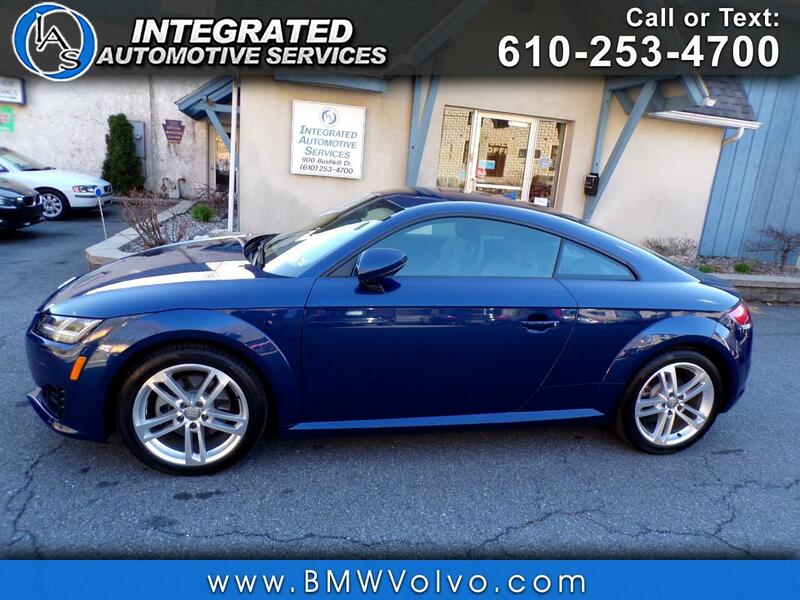 Used 2017 Audi TT 2.0T quattro for Sale in Easton PA 18042 Integrated Automotive Services Inc. Recent Arrival! CARFAX One-Owner. Priced below KBB Fair Purchase Price! Fresh Oil Change, New PA State Inspection, Fully Serviced, Backup Camera, Bluetooth, One Owner, Black w/Leather/Alcantara Seating Surfaces or Fine Nappa Leather Seat Trim w/Diamond Stitching, Bang & Olufsen Stereo, Audi Connect w/Online Services, Audi MMI Navigation Plus, Audi Side Assist, Audi Smartphone Interface, Fine Nappa Leather Seat Trim w/Diamond Stitching, Heated Front Sport Seats, Navigation System, Parking System Plus (Front/Rear Acoustic Sensors), Radio: MMI AM/FM w/1 CD Player, S Sport Seat Package, S Sport Seats, Technology Package, Wheels: 8.5" x 18" 5-Twin Spoke Dynamic Design. We sell our cars serviced and inspected. Each one gets a new PA state inspection sticker and we include a 3 month or 3,000 mile powertrain warranty. We also offer many options in extended service plans. Bank financing is available and we also take trade ins. Check us out on Google and see what some of our many other previous customers have to say about us. For over 28 years, IAS has been selling high quality pre-owned imports at affordable prices. Visit us today and see how easy we can make your next car purchase. Message: Thought you might be interested in this 2017 Audi TT.